Punnett's Square: How the Cheetah got its speed? 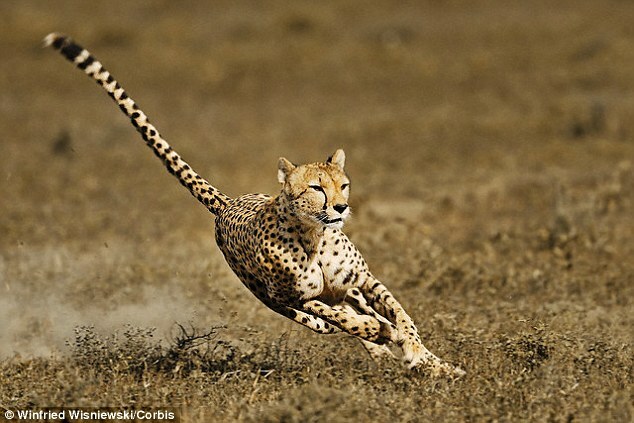 How the Cheetah got its speed? An article in NYT illustrates the findings of cheetah's genome analysis, providing genetic explanation to the question how the cheetah's run so fast? It is not a secret that cheetah is the world's fastest animal on land , sprinting across at speed of more than 62 mph (100 km/h). Scientists have sequenced the genome of a cheetah named Chewbaaka. The genomic analysis reveals eleven gene mutations over generations to give the cat its speed. Those mutations enhanced the energy-releasing regulation process, the stress response, as well as the muscle contraction processes of the cat. The research published in the magazine Genome Biology also revealed the findings indicating cheetah lacks genomic diversity, which leads to disadvantages related to producing healthy offspring and fighting disease. In fact cheetah has less than five percent the genomic diversity of other cats, which explains their decreased number.